Not sure whether you guys knew that Danny and I went for a short trip at Malacca last weekend. It was a not plan beforehand. Packed our things just right before departure. I promise I will share about some fund stuffs we had during that short trip next time. In this post, I am going to share about my must have skincare during my short gateaway. Remember I introduced SkinSoul Ultra Soft Facial Towelettes last week? (If you don’t, read it here. ) I said it is definitely a thing in my travel list. So, it was my remover in the trip. Meanwhile, what were my skincare product then? Answer: SkinSoul Skin Shield Travelling Set. SkinSoul Skin Shield is an all-natural skin care range made from pure organic Ashitaba and a fusion of other precious botanical extracts that work in synergy for ultimate skin renewal. It works on the key factor of Asthiba’s remarkable ability to regenerate itself when injured thus demonstrating astounding properties to stimulate skin nourishment, healing and transformation. Accelerates skin generation to dramatically fade fine lines and wrinkles. Penetrates the deepest layers of the skin leaving it deeply hydrated, silky and supple. Demonstrates high anti-baterial & anti pollutant activity, reduce inflammation. With blood-purifying and detoxifying properties to help heal skin irritations. 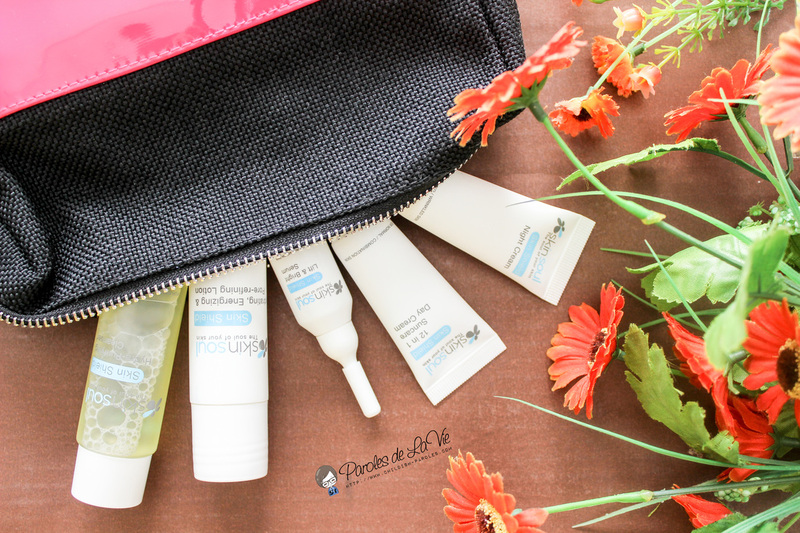 SkinSoul Skin Shield Travelling Set contains the basic skincare products which are cleanser, toner, serum, day cream and night cream. Since it is a travelling set, it is very handy and the size is just suitable to put into my pouch. After cleansing my face with Skin Soul Facial Towelette, I used SkinSoul Skin Shield Hydra-Purifying Cleanser for the second layer of facial cleansing. It is soapy, so I normally only put 2-3 drops on my palm and foam it before putting on my face. It was not irritating at all, it helped to soothe my skin. Honestly speaking, I don’t like cleanser with a lot of foam. No doubt, foam helps to remove the excess oil on skin; however, for dry combination skin like mine, foam will make the skin too dry. Luckily, this cleanser didn’t cause any stretch afterward, but I still felt dry if i didn’t apply anything. Following that, I have applied SkinSoul Skin Shield Hyrdrating, Energizing & Pore Refining Lotion. FYI, if you get the full size lotion, it is actually a mist spray. However, in traveling set, it isn’t. To me, the texture is more likely to be emulsion. Thus, if put on cotton, it was quite wasteful. So, I will normally put it on my palm and tap it on my face. Therefore, I think the spray design for the full size product is better because user can just spray the toner around their face. Next, SkinSoul Skin Shield Lift & Bright Serum was applied before day/night cream. This serum is an anti-aging serum. If you don’t need any anti-aging product, you can just leave this step. In my opinion, I don’t favor on this Lift & Bright Serum. It is really sticky. The last step is applying day/night cream. For daytime, I applied SkinSoul 12-in-1 Suncare Day Cream (SPF50). It can be treated as makeup foundation that blends to any skin tone. This is also a reason I love SkinSoul travelling set because I don’t need to bring another makeup foundation when I go for trip like I did last weekend. Nonetheless, I didn’t use it daily because I am working from home currently. It seem no point I put on foundation and remove it before bed. During nightime, I applied SkinSoul Skin Shield Night Cream. The first time using this night cream, I was shocked with its color. It is dim yellow, I thought is it something wrong with the cream. Sooner, I realized that is the original color. Once I apply evenly on my face, it would be transparent. It is easily and fast absorbed by skin. It did not cause any grease upon application. 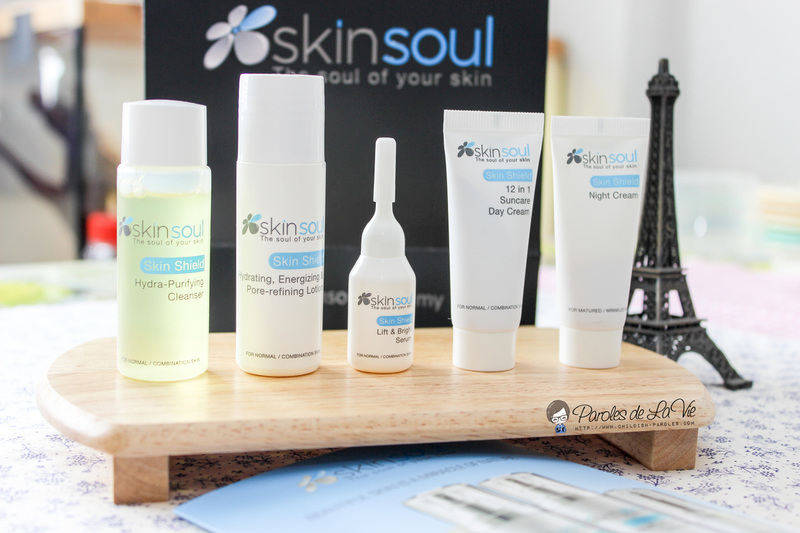 Overall, SkinSoul Skin Shield product range was good. I love their travelling set much because it is handy and easy to bring along. 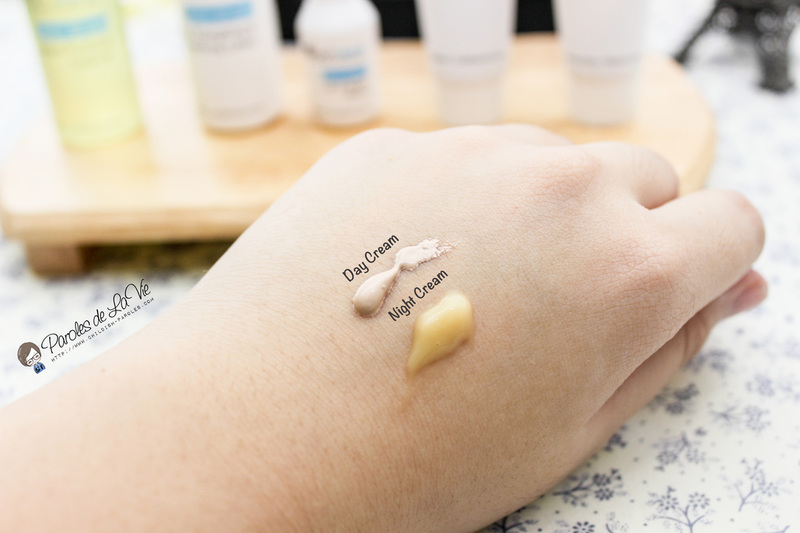 Especially the day cream, it is really convenient to bring it for vacation because it helps to save my time to apply another layer of foundation. 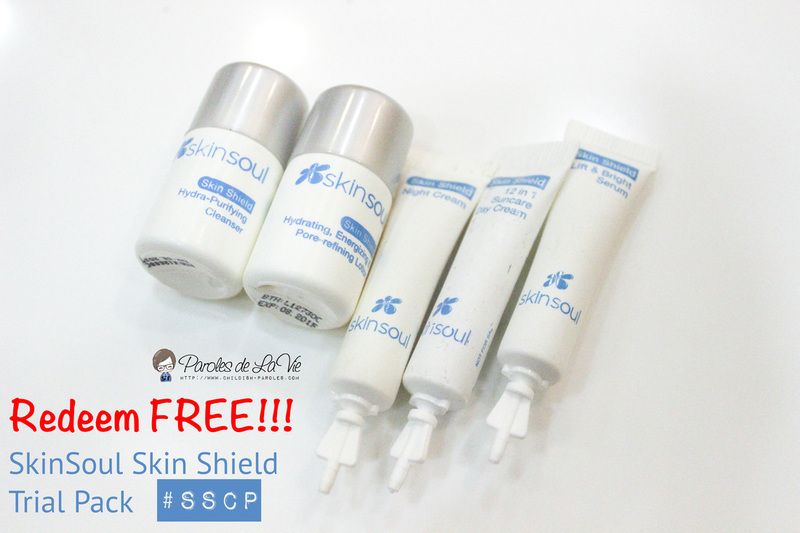 **Note: Mention my code #SSCP, you will be entitled to purchase SkinSoul Skin Shield Travelling Set at RM388! You can also walk away with SkinSoul SkinShield Set (worth RM100) by minimum purchase of RM100. I don’t normally use this much product on my skin, because there’s so much effort put in the whole process. But these products seem nice. These look definitely super travel friendly and nicely packaged though haven’t heard of them before. Yes yes. Love the day cream. The packaging looks nice and it’s can be easily carried in a bag because of their small container. I’m not really sure if we have this product here in our country. This brand is also newly import into Malaysia. So i am not sure whether they have it in your country. Sometimes you think you do not need stuff like this during a vacation, but sometimes you really do. I got a bad skin reaction when I went to Hongkong one time, and had to wait until I got home before having it checked. It was not good at all. For me, it is absolutely important! Wow, the Skinsoul Skin Shield is all-natural and made of Ashitaba, a recently famous plant here in Manila that have various healing properties. I am so going to try this out! Thanks for sharing. never heard of this brand before! and the colour of the night cream is kinda… funky? haha, do share about your malacca trip! Sure sure. Btw, just shared my food journey at Malacca. I haven’t checked this brand yet but their travel size bottles are definitely good. I personally like day cream as i can blend them with foundation. The day cream really convenient! It’s really handy for travel and caters to all the creams you need. This can help you care for your skin even when you travel. Yes. If they can have mask, it is even better! Yes, I can’t agree more that this is really expensive! This looks pretty good. Not sure if it will clog pores! Travel size are really good going for trips and for check-ins because they won’t be confiscated and thrown away during check-in! The Day Cream, SkinSoul claims it won’t but I think it still because it has a litttle breakout the day after using it. I love travel sets, for the ease of transport. But these days, I just transfer product into my trusty Muji containers for travel. I normally also transfer my skincare to a smaller container. But sometimes it is really annoyinf when leaking. I heard about this new skincare in town but have to try it yet. The travel set is always so versatile to carry it for travelling. You can visit their store and get the trial pack. A Sabahan who is currently based in KL, MY. I blog mainly in food, beauty and lifestyle. How To Apply Australia Visa at Home With Only RM20? Sin Yee on How To Apply Australia Visa at Home With Only RM20? Mary on How To Apply Australia Visa at Home With Only RM20? I Am Sin Yee, a.k.a "IMSY" is a personal blog by Sin Yee. A Sabahan who is currently based in KL, MY. I blog mainly in food, beauty and lifestyle.